Read about AHC’s response to PHAC’s drastic funding cuts to patient groups dealing with HCV monoinfection, and HepCBC’s letter to PAN and our decision to withdraw from further participation with, and support for, Pacific AIDS Network (PAN). We have updates on the latest research on an HCV vaccine, the touching story of a Pharmacist who got busted for playing Robin Hood and getting people treated (at least that’s what it looks like from here). Also, there is more on the use of HCV-infected kidneys for transplant, and a study of screening people in ER and what they found, and a study on variability in criteria for reimbursement of HCV direct-acting antivirals by jurisdiction in Canada. Read about our new Baby Boomer Pamphlets targeting Rural, Remote and Aboriginal populations, a new study published in the CMAJ detailing the lack of access to new treatments in Canada, unequal access to treatment in US prisons, cutting of funding to HIV and HCV community groups by PHAC, increasing rates of hospitalization due to chronic hepatitis C virus, a trial examing 3-week therapy, how Pakistan refused to raise the prices for DAA’s, and a study on hepatitis virus in horses. 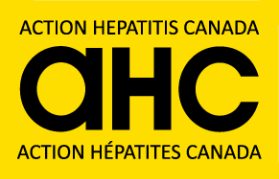 Recently HepCBC and other HCV patient advocacy organizations were turned down for funding from PHAC (Public Health Agency of Canada). It was a real blow, but we will survive. Cheryl Reitz has written a good critique of the decision. Also in this issue: Read about quercitin and HCV, lack of treatment in Prisons, a successful challenge to the sofosbuvir patent in Europe, Black Box Warning on DAA’s about HBV reactivation, updates on new treatments from Merck and AbbVie, and access to treatment in New Zealand for GT1 patients now covered by Pharmac!